Our collections richer than most people would imagine and cover a wide variety of subjects and historical periods. To give you an idea of what’s there, University Archivist Guy Baxter will be introducing his ‘Top Ten Treasures’ over the coming weeks, picking highlights from the archive collections here at Reading. Enjoy! Guy writes: ‘This design by Owen Jones (1809–1874) was recently part of a selection of images being considered for merchandising. No one is sure whether it is for a tile or for some stationery, but in my opinion its striking beauty is not up for debate. 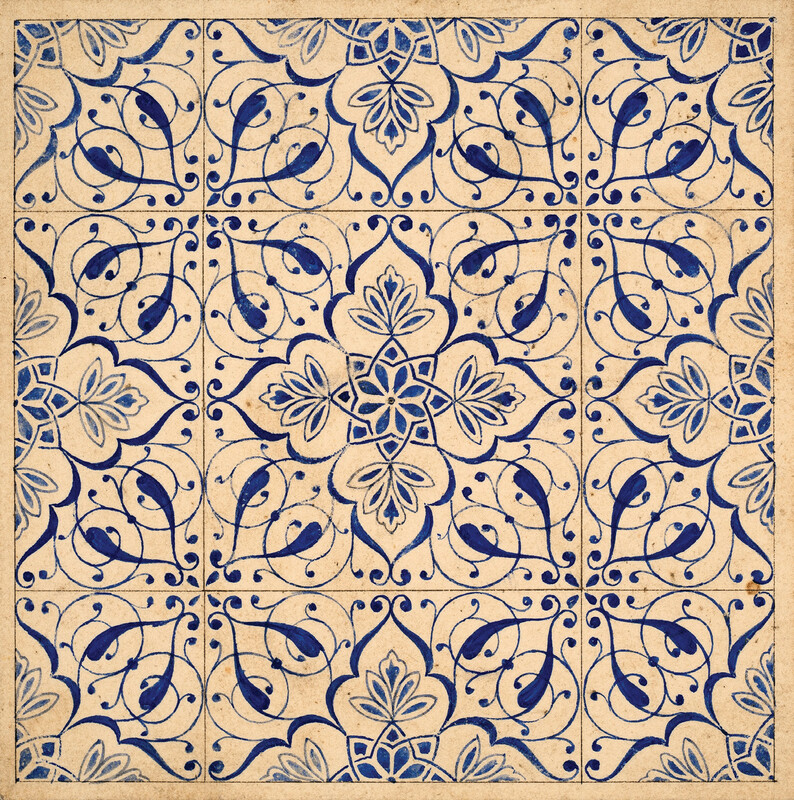 Jones was a remarkable designer, influenced by a wide range of styles, including the Alhambra Palace in Granada, which he studied intensively. He is perhaps best known for his work on the Crystal Palace and for his extraordinary reference book for designers, The Grammar of Ornament, which is on display at Special Collections in Summer/Autumn 2013. If you’re interested in learning more about Jones and The Grammar of Ornament, take a look at our ‘featured item’ on Jones.